10.09.2013. Kiev, Ukraine. 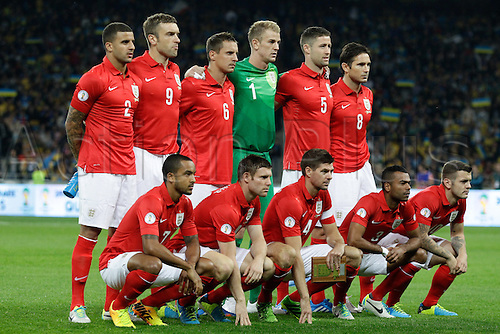 England team line up during their World Cup qualifying soccer match against Ukraine at the Olympic stadium in Kiev September 10, 2013. The game ended in a 0-0 draw allowing England to go top of their group.